Draft: 1999, Florida Marlins, 3rd rd. Joshua Aaron Wilson…graduated in 1999 from Mt. Lebanon High School in Pittsburgh, Pa.…earned second-team All-USA Today honors as a senior after hitting .600 with 7 home runs and 29 RBI…father, Mike, coached at Division I Duquesne University for 17 years and holds the school's alltime wins record with 345. Split the campaign between Arizona and Reno (AAA), his 3rd stint in the D-backs organization…made the Opening Day roster for the 2nd time in his career (2007 with Washington) and appeared in 30 games with Arizona, primarily at second base (15 starts)…hit .323 (10-31) at home; .069 (2-29) on the road…swatted a solo HR in the 8th inning on April 30 vs. SF to break a scoreless tie in an eventual 2-1 loss…committed 2 errors in 71 chances (.972 fielding pct.). Spent the entire season with Triple-A Gwinnett, hitting.241 (98-for-407) with 26 doubles, 5 homers and 43 RBI...Appeared in 85 games at shortstop, 25 at second base and9 at third...Made 3 scoreless relief appearances (1.2 IP)...Signed by the D-backs as a Minor League free agent onDec. 10. Was released by Seattle at the end of spring training (3/30) and signed with Arizona that same day...Began the year at Reno (AAA), contract was selected by Arizona on 4/25 and was designated for assignment on 5/23...Was claimed off waivers by Milwaukee on 5/25 from Arizona, batted .200 (2-for-10) with one RBI in six games with the D-backs...Made 15 starts with Milwaukee (2B-8, SS-3, 3B-2, LF-2), batted .227 (17-for-75, 2 HR, 4 RBI) as a Brewer...Hit his first career pinch-hit home run on 5/30 at CIN, the homer was his first hit with Milwaukee...Belted a game-winning solo homer off Mike Dunn in the 11th inning on 6/5 at Florida (won 6-5)...Started a 4-6-3-2 triple play on 8/15 vs. LAD. It was his second career triple play (5/4/09 w/ARI at LAD). Split season between Seattle and AAA Tacoma (20 games)...Appeared in a career-high 108 games including 102 starts (SS - 95, 3B - 3, 1B - 3, 2B - 1)...Set career-highs in games, hits (82) and RBI (25)...Hit game-winning 3-run home run Sept. 26 at Tampa Bay (off James Shields)...Had a career-high tying 9-game hitting streak May 18-28 batting .400 (12x30) with 4 runs, 4 doubles, 5 RBI...Reached base safely in 8 straight PA at home (May 9-20): 1B, HR, 3B, BB, 1B, BB, 1B, 1B...Went 3x3 May 9 vs. LAA, falling a double short of hitting for the cycle...Hit .287 (47x164) w/ 8 doubles, 2 triples, 1 home run, 15 RBI at home; .178 (35x197) on road...Hit .308 (44x143) with 13 R, 7 2B, 1 3B, 2 HR, 16 RBI in wins; .174 (38x218) in losses...Selected from Tacoma May 2 (post-game) (M. Tuiasosopo optioned)...Began season with Tacoma, appearing in 20 games...hit .333 (27x81) with 7 runs, 11doubles, 1 triple, 11 RBI. Claimed off waivers from San Diego June 19...made Mariners debut June 23 vs. San Diego...made pitching appearances for Arizona and San Diego (0-1, 13.50); 3 career pitching appearances (also: 6/8/07, TB at FLA)...entered season with 2 career home runs, but hit 3 in span of 8 days: Aug. 13 vs. NYY (Sabathia), Aug. 18 at DET (Porcello) & Aug. 21 at CLE(Huff)...claimed by Padres from D-Backs May 15 and appeared in 16 games with Padres...began season with Reno, but purchased by Arizona on April 26. Began the season with Indianapolis (AAA) in the Pittsburgh organization, but ended the season with Pawtucket (AAA) in Boston farm system...acquired by Boston from Pittsburgh on Aug. 2 in exchange for cash considerations...batted .325 (27x83) with 8 RBI for the Indians in July prior to the trade...hit safely in 15of his last 16 games for Indianapolis, batting .351 (20x57) with 6 doubles over that span. Batted .238 with two home runs and 24 RBI in 105 combined games between Washington and Tampa Bay...Attended spring training with the Nationals and hit .333 (18-for-54) in 26 games to earn his first appearance on an Opening Day roster...Made seven appearances (three starts) at shortstop with the Nationals and went 1-for-7 as a pinch hitter...Picked up lone hit in seventh at bat (11th plate appearance) on 4/18 vs. Philadelphia...Made final appearance with the Nats as a starter on 5/6 at Wrigley Field...Was designated for assignment on 5/8 and was claimed off waivers by Tampa Bay on 5/11...Made debut with Rays as a starter at third base on 5/12 at Toronto and went hitless in three at bats...Had three hits and stole a pair of bases on 5/17 vs. Texas (game played at Disney Sports Complex in Orlando, FL)...Tallied first career RBI on 5/24 vs. Seattle...Made professional pitching debut in Tampa Bay's 14-8 loss at Florida on 6/8; pitched a scoreless 8th inning and allowed one hit and one base on balls. ...Became just the second Tampa Bay position player to pitch (also Wade Boggs on 8/10/99)...Recorded first major league triple off New York's Roger Clemens on 7/13 and knocked in a pair of runs in Tampa Bay's 6-4 win...Was batting a season-high .314 with Tampa Bay following the action on 7/22; hit .220 (39-for-177) from that point on...Hit safely in a career-high nine straight games from 7/8-22, going 12-for-30 (.400) with three doubles, two triples and 12 RBI...Hit his first two big-league home runs in a span of four days; connected off Jeremy Guthrie for first one on 8/30 at Baltimore (204th major league at bat) and hit second one on 9/2 at New York off Edwar Ramirez...Had an eight-game hitting streak from 8/30 thru 9/7 (14-for-33, .424)...Had career-high four hits on 9/5 vs. Baltimore...Had three hits on 9/11 at Boston to lift average to .280...Went hitless in 35 at bats from 9/14-27; the second-longest hitless streak in club history behind the 0-for-37 set by Jose Cuz in 2004...Started 53 of Tampa Bay's final 67 games, beginning on 7/21...Made 50 appearances (47 starts) at shortstop, 27 appearances (20 starts) at second base, eight appearances (six starts) at third base and one at pitcher with the Rays...Was claimed off waivers by Pittsburgh on 12/3. Was acquired by Colorado on 1/6...Began season on 60-day disabled list with a broken big toe on left foot...Began rehab assignment with Triple-A Colorado Springs on 5/23...Went 9-for-29 (.241) with a home run before officially coming off the D.L. on 6/7...Was reinstated from disabled list and assigned to Colorado Springs, where he spent the rest of the season...Made 62 appearances at shortstop, 27 at third base and four at second base with the SkySox...Hit .332 in final 69 games...Hit six of his 10 home runs and knocked in 19 of his 45 runs (42%) in 27 games during the month of July...Had season-high 11-game hitting streak from 7/23 thru 8/2, going 21-for-44 (.477) with four doubles, four homers and 16 RBI. Spent full season with Albuquerque (Marlins' AAA)...Led Pacific Coast League in games...Led Albuquerque in runs scored. ...Matched minor league career high in stolen bases...Homered in consecutive games on 4/13-14...Batted .333 (33-for-99) with three homers and 20 RBI in 30 games during the month of May...Posted season-high 14-game hitting streak from 5/10-24 (22-for-48, .458)...Hit nine of his 17 home runs during a 22-game span from 7/21 to 8/12...Was recalled by Florida on 9/5...Made major league debut on 9/7 at Washington; fouled out as a pinch hitter for Dontrelle Willis in the 7th inning...Made one start with the Marlins - at shortstop on 9/28 vs. Washington...Picked up lone hit on 10/2 vs. Atlanta; doubled off Kyle Davies to lead off the 10th inning and came around to score the winning run on Juan Pierre's walk-off infield single as Florida prevailed, 7-6...Played for Grand Canyon in the Arizona Fall League and hit .301 with four home runs and 19 RBI in 21 games. Split season between Carolina (Marlins' AA) and Albuquerque squad...Hit .299 with 33 doubles, 15 homers and 64 RBI in 127 combined games with the two clubs...Ranked second in Florida organization with 165 hits...Batted .350 with seven doubles, six home runs and 17 RBI to earn Topps Player-of-the-Month honors in June...Captured Southern League Player-of-the-Week honors for week of 6/4-10 after hitting .500 (13-for-26) with four doubles, three homers and six RBI during the week...Was promoted to Triple-A on 7/6...Had an eight-game hitting streak from 7/15-22 (13-for-41, .317)...Played for the Arizona Fall League champion Phoenix Desert Dogs following the season...Was rated by Baseball America as Florida's 12th-best prospect following the season. Spent entire season with Southern League champion Carolina...Was named to mid-season All-Star team during his first full season at Double-A level...Was hitting .281 (90-for-320) with 24 doubles and 43 RBI in 84 games before the break...Had season-high four hits on 5/28 vs. Tennessee...Went 3-for-4 with hit first home run on 5/20 vs. Orlando (his 41st game of the year)...Had season-high eight-game hitting streak from 7/4-15 (11-for-34, .324)...Did not play after 8/18 due to a right wrist contusion. Spent majority of season with Jupiter (Marlins' A)...Played 12 games with Double-A Portland from 6/27 to 7/8...Combined to hit .264 with 13 homers and 55 RBI in 123 minor league games.2001: Spent entire season with Kane County, Florida's Single-A affiliate in the Midwest League...Was named Marlins organizational Player-of-the-Month for June after hitting .371 (39-for-105) in 25 games during the month...Posted a pair of 11-game hitting streaks; from 5/22-6/9 (17-for-41, .415) and 7/9-21 (23-for-50, .460)...Began season by going hitless in first seven games (23 at bats)...Hit .305 (136-for-446) in final 107 games, beginning on 5/1...Tallied seven RBI on 7/1 vs. Peoria. Named Marlins organizational Player of theMonth for June...tallied a career-high 7 RBI on July 1 vs. Peoria. Named to the New York-Penn League All-Star team for while playing at Utica (A)...ranked 2nd in the league in batting average (.344) and hits (89)...also ranked 4th in total bases (123), 5th in on-base percentage (.418) and 5th in triples (6). Posted a .352 on-base percentage for the GCL Marlins. November 6, 2017 2B Josh Wilson elected free agency. August 22, 2017 Columbus Clippers activated 2B Josh Wilson from the 7-day disabled list. August 15, 2017 Columbus Clippers placed 2B Josh Wilson on the 7-day disabled list. Lleft thumb nail. June 1, 2017 Texas Rangers traded 2B Josh Wilson to Cleveland Indians for cash. June 1, 2017 2B Josh Wilson assigned to Columbus Clippers. April 20, 2017 2B Josh Wilson assigned to Round Rock Express. April 19, 2017 Texas Rangers signed free agent 2B Josh Wilson to a minor league contract. October 14, 2015 2B Josh Wilson elected free agency. September 8, 2015 Detroit Tigers selected the contract of 2B Josh Wilson from Toledo Mud Hens. July 8, 2015 Detroit Tigers sent 2B Josh Wilson outright to Toledo Mud Hens. July 7, 2015 Detroit Tigers designated 2B Josh Wilson for assignment. June 2, 2015 Detroit Tigers selected the contract of 2B Josh Wilson from Toledo Mud Hens. 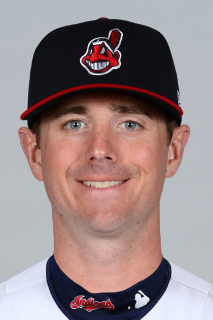 January 12, 2015 Josh Wilson assigned to Toledo Mud Hens. December 23, 2014 Detroit Tigers signed free agent 2B Josh Wilson to a minor league contract and invited him to spring training. September 29, 2014 SS Josh Wilson elected free agency. May 11, 2014 Texas Rangers sent SS Josh Wilson outright to Round Rock Express. May 8, 2014 Texas Rangers designated 2B Josh Wilson for assignment. March 30, 2014 Texas Rangers selected the contract of 2B Josh Wilson from Round Rock Express. December 12, 2013 Texas Rangers signed free agent SS Josh Wilson to a minor league contract and invited him to spring training. December 12, 2013 SS Josh Wilson assigned to Round Rock Express. October 1, 2013 2B Josh Wilson elected free agency. June 25, 2013 Arizona Diamondbacks sent 2B Josh Wilson outright to Reno Aces. June 25, 2013 Josh Wilson assigned to Reno Aces. June 21, 2013 Arizona Diamondbacks designated Josh Wilson for assignment. March 31, 2013 Arizona Diamondbacks selected the contract of 2B Josh Wilson from Reno Aces. December 10, 2012 Arizona Diamondbacks signed free agent SS Josh Wilson to a minor league contract and invited him to spring training. December 10, 2012 Josh Wilson roster status changed by Arizona Diamondbacks. November 2, 2012 SS Josh Wilson elected free agency. April 4, 2012 SS Josh Wilson assigned to Gwinnett Braves. November 22, 2011 Atlanta Braves signed free agent SS Josh Wilson to a minor league contract and invited him to spring training. November 2, 2011 SS Josh Wilson elected free agency. October 25, 2011 Milwaukee Brewers sent SS Josh Wilson outright to Nashville Sounds. October 17, 2011 Josh Wilson roster status changed by Milwaukee Brewers. October 1, 2011 Milwaukee Brewers reassigned SS Josh Wilson to the minor leagues. May 27, 2011 Milwaukee Brewers activated SS Josh Wilson. May 25, 2011 Milwaukee Brewers claimed SS Josh Wilson off waivers from Arizona Diamondbacks. May 23, 2011 Arizona Diamondbacks designated Josh Wilson for assignment. April 25, 2011 Arizona Diamondbacks selected the contract of SS Josh Wilson from Reno Aces. April 1, 2011 Arizona Diamondbacks signed free agent SS Josh Wilson to a minor league contract. April 1, 2011 Josh Wilson assigned to Reno Aces. March 28, 2011 Seattle Mariners released SS Josh Wilson. May 4, 2010 Seattle Mariners selected the contract of SS Josh Wilson from Tacoma Rainiers. April 7, 2010 Josh Wilson assigned to Tacoma Rainiers from Seattle Mariners. December 10, 2009 Seattle Mariners signed free agent SS Josh Wilson to a minor league contract and invited him to spring training. November 20, 2009 Seattle Mariners sent Josh Wilson outright to Tacoma Rainiers. August 13, 2009 Seattle Mariners selected the contract of Josh Wilson from Tacoma Rainiers. July 24, 2009 Seattle Mariners sent Josh Wilson outright to Tacoma Rainiers. July 21, 2009 Seattle Mariners designated 3B Josh Wilson for assignment. June 19, 2009 Seattle Mariners claimed 3B Josh Wilson off waivers from San Diego Padres. May 15, 2009 San Diego Padres claimed Josh Wilson off waivers from Arizona Diamondbacks. May 13, 2009 Arizona Diamondbacks designated SS Josh Wilson for assignment. April 26, 2009 Arizona Diamondbacks recalled SS Josh Wilson from Reno Aces.